If incorrect depictions of India’s borders are a crime, will RSS be prosecuted for ‘Akhand Bharat’? A law proposed by the Union government makes incorrectly drawn borders a severe offense. Image from the RSS website. Hindutva’s irredentist fantasies might not square up to history or logic but they are core to its philosophy. 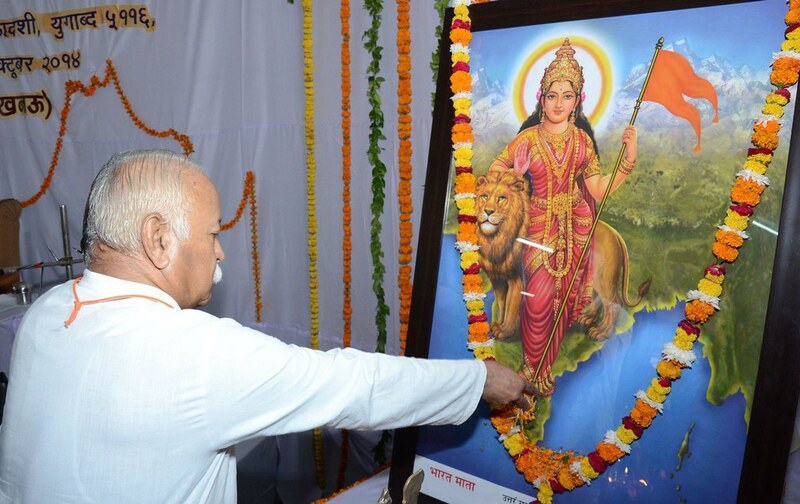 Leaders of the Rashtrya Swamaysevak Sangh are frequently seen declaiming against the backdrop of an Akhand Bharat map and just in December, 2015 Ram Madhav, the general secretary of the ruling Bharatiya Janata Party, made it clear that an Akhand Bharat was a goal of his. What will happen after this law? Akhand Bharat is also an incorrect depiction of India’s borders, after all. Will RSS chief Mohan Bhagwat be punished? Will the BJP have to give up its Akhand Bharat dreams?